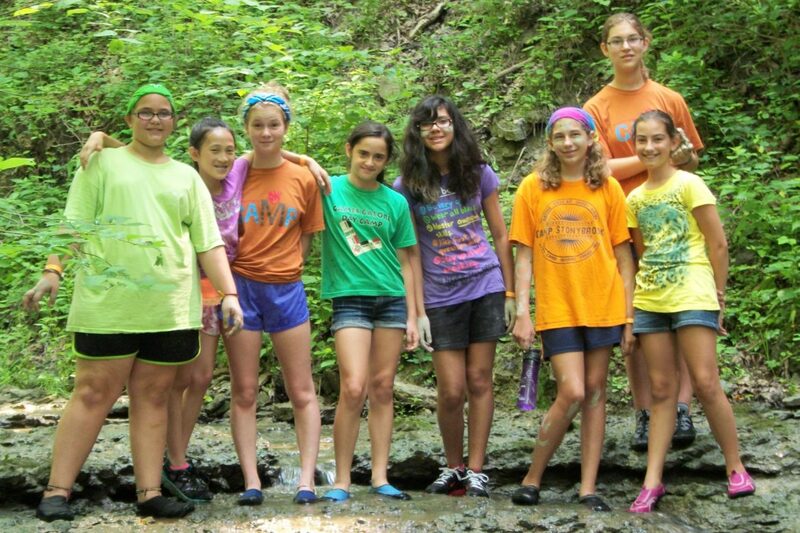 Camp is an exciting pathway for girls to participate in Girl Scouting. At Troop Adventure Camp, the troop and camp pathways merge to create an experience girls and leaders will never forget. Troop Adventure Camp (TAC) is slightly different from our other summer program opportunities – it’s designed for the whole troop! What makes TAC different? Girls work together to schedule their TAC session. They pick their activities, their cook-outs and their troop rules. This means that troops get the progressive camping experience that they’re ready for. There’s activities for first time troops and experienced campers. Do adults have to pay? The adults needed to keep proper Safety Activity Check Point ratio do not pay to attend TAC. Any additional adults not needed for ratio are required to pay. Do adults have to stay the whole time? No, we realize that accompanying your troop to camp for a session is a big commitment. That’s why we allow rotating adults. You can trade off “shifts” with other adults in your unit as long as they have completed the volunteer approval process. Do the troop leaders lead the activities? No, Junior Instructors and camp staff lead the program activities, adults are needed for ratio, supporting the girls, providing good behavior management techniques and first aid. If the troop schedules in down time, troop bonding time or an off-site trip; the leaders are responsible for leading those type of activities. What activities can we choose from? There are many activities to choose from at TAC. Some of the activities you can choose are letterboxing, nature hikes, creeking, pottery, sewing silly monsters, complicated contraptions, egg drop engineers, cooking methods and survival skills. Girl Scout Juniors and older can do archery and the low challenge course. What if we’ve been to TAC before? Don’t worry, there’s still more to explore! Besides doing the activities you’ve never done before, there are off site destinations to explore! Go canoeing with Rivers Edge Outfitters, take a zip line canopy tour at Camp Kern, hunt for fossils at Caesar Creek State Park , visit Fort Ancient or check out the Air Force Museum. How do we register? Registration opens February 26, register using the paper registration form found at http://www.girlscoutsofwesternohio.org/What-We-Do/Program-Opportunities-Events/Summer-Camp-Opportunities/Summer%20Camp%20Documents/1302016-001%202014%20Camp%20Registration%20Troop%20Adventure%20Camp%202013.pdf. How can I make sure my girls are ready for summer camp? It might be hard to believe right now but warm weather is on the way. Move your troop meeting outside or to a local park to get the girls used to operating outside. You can also take time to work on badges that inspire the girls to explore the outdoor world around them. There is a Naturalist legacy badge in The Girl’s Guide to Girl Scouting for each grade level.